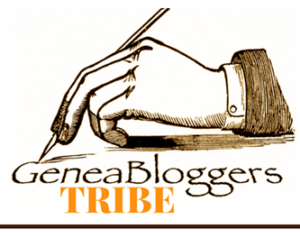 FamilyHistory4u: Census Records -Whether Deaf, Dumb or Blind?" Census Records -Whether Deaf, Dumb or Blind?" 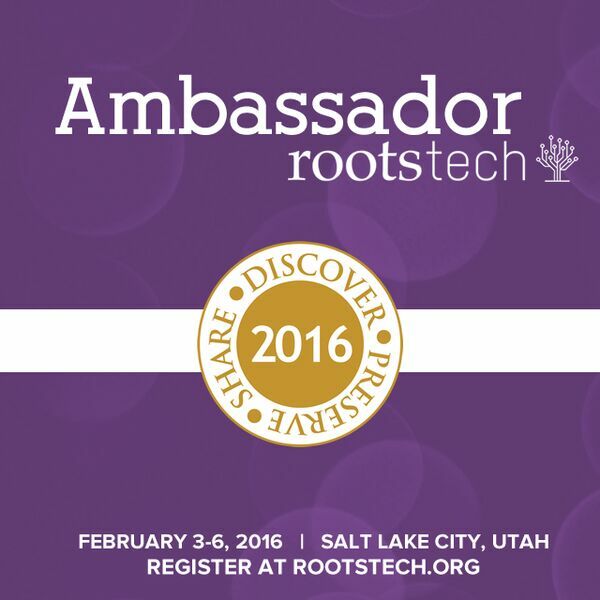 Every family historian knows the tremendous value of census records. It is from these records that we discover vital information about our ancestors. We discover where, and in what circumstances they lived, what their occupations were, and how many children they had. Notably, we might discover their age and where an ancestor was born. This is crucial information which assists in tracing family further generations back in time. 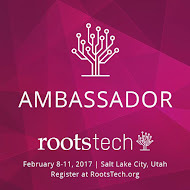 Census records allow us to place our ancestors into the social and economic context of the world which they inhabited. 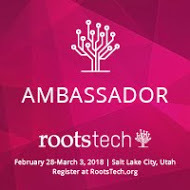 More importantly, it is when we take the bare bones of information provided on a census record and place it along side the social, economic and political events occurring at the time of the census taking, that we begin to understand the world in which ancestors lived, and our ancestors themselves. Setting the scene for our forebears' lives is what metamorphoses names into real people. On UK census records, and first introduced in the 1851 census, there appears a column, which contains vital information regarding disabilities our ancestors may have experienced. This column, headed, 'Whether Deaf, Dumb or Blind' which appears far right, on the census page is often overlooked in our enthusiasm to discover names, places, dates and occupations. What is also of exceptional significance for historical research, is the social overview of a nation and society, which we are afforded by the statistical analysis of information provided by our ancestors on census forms, with particular regard to health conditions and disability, (included on census forms from 1850 onward in the US census and 1851 onward in the UK). A national census has been conducted in Britain every 10 years since 1841 (with the exception of the War years). Earlier censuses exist, however they were not well organised, were dependant upon local co-ordination, and information is scant. On June 6, 1841 the first national census conducted in the UK, collected the following information about each household member present in the household on the night: Address, Number of Rooms, Name, Age, Gender, Occupation, Whether born in the County or Elsewhere. Information requested on the 1841 census was minimal, but has been of vital importance to both historians and family historians. The US introduced a national census in 1790, following the American Revolution and has since conducted 22 decennial national population censuses since that year. For the purpose of this blog post I will concentrate on the UK census for my examples, however, the essence of my post applies beyond the UK census. 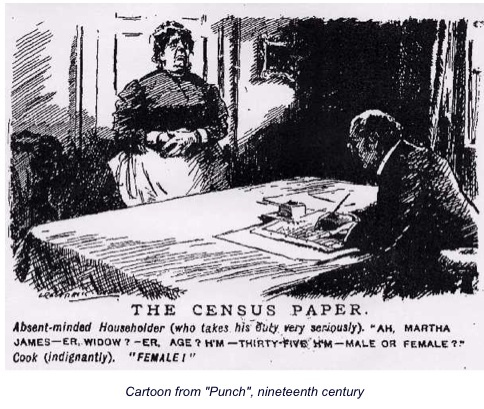 The March, 30, 1851 census, introduced a significant new collection of data on the census form. In a column headed 'Whether Deaf, Dumb or Blind' the first attempt was made to gather national information about the numbers of people affected by these disabilities. Whilst this was by no means a method of determining all afflictions or disabilities, it was undoubtedly a significant attempt to compile national data about disability within the British population and it is exceptional and fascinating information for historians and genealogists alike. The information compiled in this census and those which followed, has not only enlightened us to conditions which our ancestors or members of their families suffered, but it has enabled statisticians to collate information about the overall health and social circumstances of our forebears. Through examination of the distribution of these conditions and the ages at which these disabilities occurred, information is now available which attempts to understand the causes, dispersion of, and the impact of blindness and deafness upon the British population since 1851. Studies have been conducted to determine the causes of these afflictions, and includes influences such as age, whether disabilities were congenital or caused by disease (as in Ireland during the Potato famine [ 1845-1852] when there was an epidemic of opthalmia [inflammation of the eye which can result in blindness]), or fascinatingly, even whether disabilities were the result of intermarriage between family members. The Potato famine in Ireland caused an epidemic of opthalmia. Blindness was found to be less prevalent in 1851 in the south western counties of Britain (Wiltshire, Dorset, Devon and Cornwall with 1 in 793 person affected. The eastern counties of Essex, Suffolk and Norfolk show a lesser proportion of the population affected by blindness with the ratio of 1 in 902. The north western counties of Cheshire an Lancashire demonstrate a lesser rate of blindness with 1 in 1253 person affected. York and West Riding the proportion of people reported to be blind was even less at 1 in 1296. The county of Bedfordshire, where the main employment for young persons was straw plaiting, recorded the lowest ratio of people who were blind with numbers recorded as 1 in 1325 persons. Age demonstrated that it played a significant role in the numbers of people suffering blindness with only 1/7 th of the population who were blind shown to be under the age of 20. Data analysed from UK census records has demonstrated the ways in which people who were deaf or blind, were supported, whether they were educated and what role social circumstances played in the opportunities that were at their disposal. Apart from being valuable information relating to our own families, this data collected on census records, has provided invaluable historical information which has assisted in providing for the needs of people with disabilities. On the bottom right, it indicates that Charles Saber, aged 49, is Blind. The above sample of the 1851 census, shows one Charles SABER*, 49, (husband of Martha SAPBER, 53, a washerwoman), to be blind. The couple were living in St Mary's Islington with their son William Sapber aged 19 years who was a coal miner. The census enumerator did not record whether Charles had been 'Blind from Birth' and in the absence of that information we cannot assume that this was the case. 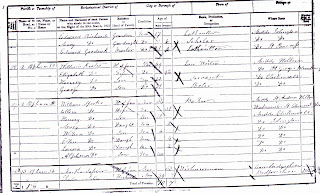 A search for Charles Saber in the 1841 census would not tell us directly if he was blind since this information was not requested in that particular census however, if Charles was found to be employed in an occupation in 1841 which required good eyesight then we would have some indication of the age at which he became blind. To attempt to discover more about Charles' blindness it is necessary therefore to search for him in other census records for clues. * Charles Saber was not related to myself. A search of the 1861 census, finds Charles, surname spelled SOPHER, ( another relevant family history W tip is to be Wary of surname spellings) shows him to be aged 59 years, born in Chelmsford, Bedfordshire, address 358 Hayes Place, St Mary's Islington, living with his wife Martha (65) and in the column headed 'Whether deaf, Dumb or Blind' it states 'Blind'. Son William now aged 28 is still living with his parents and working as a labourer, undoubtedly to support them. Charles SAFER died in January of 1870. Martha can next be found in the 1871 census, living as a widow and an inmate of the Metropolitan Asylum in St Mary's Islington. The addition of new information in the 'Whether Deaf, Dumb or Blind' column, in the 1871 census becomes an all important clue as to why Martha died in an asylum. The additional information requested in the 1871 census is very relevant, particularly, if you have an ancestor who died in an Asylum as did Charles Saber's wife Martha, (under yet another spelling variation of the surname). In the column headed 'Whether 1. deaf-and-Dumb 2. Blind 3. Imbecile or Idiot 4. Lunatic', there was no entry for Martha. 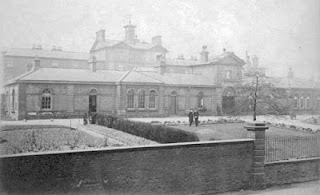 Since Martha has not been reported to be an Imbecile, an Idiot or a Lunatic, it is more than likely that she died in the Asylum because she was a pauper (or in ill health or suffering alcoholism - for the many reasons people ended up in Asylums, see my blog post entitled 'Ancestors in Asylums'). Probably because of the numerous variations of spelling of this surname, I have not yet found Charles Saber in the 1841 census. Finding him in 1841 and determining whether he was employed at that time, and what his employment was, might provide some evidence of when he lost his eyesight. Occupations can often be a clue to a disability suffered by an ancestor. Some understanding of what jobs required good eyesight and of those which were able to be performed by people with disabilities, for example, basket weaving, might be an indication that an person suffered eyesight problems or deafness. 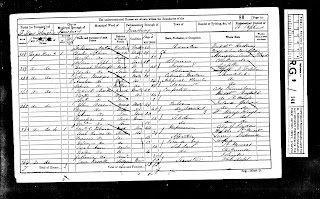 What can definitely be determined about the life of the Saber family from the census records and especially the last column which reports a disability, is that daily life must have been difficult for Charles and Martha coping with Charles' blindness and inability to work to support his family. Their son William would undoubtedly been responsible for supporting his parents for much of his adult life. Since the entry for Charles in the census records, does not state 'Blind from Birth', it might be assumed that he suffered an injury or an illness which resulted in his losing his precious eyesight, making it impossible for him to financially sustain his family. 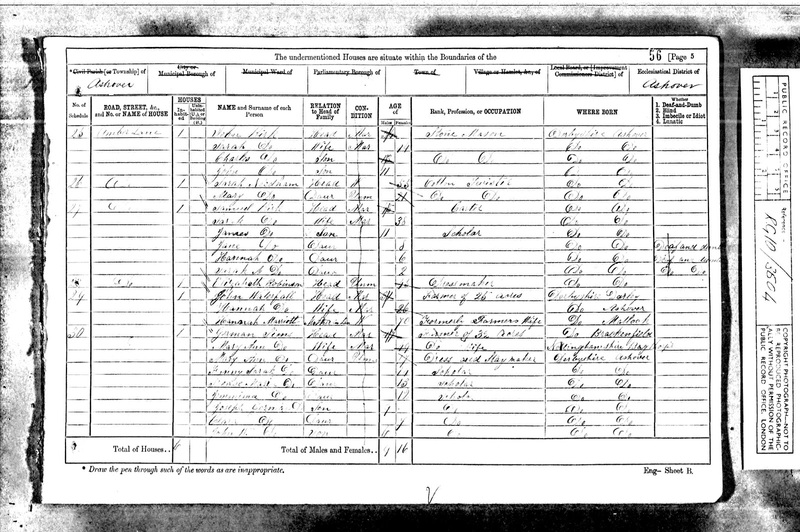 In the April 2, 1871 census, Eliza ENGLISH, * was aged 56 years and living in the Keynsham Union Workhouse in the county of Gloucestershire in which she was born. In the 'Whether' column provided to list a disability, it was stated that Eliza was an 'Imbecile'. It is important to understand the terms, Imbecile, Idiot and Lunatic as they were defined at the time of the census taking. Until the 20th century, an Idiot was determined as being one who was of mental deficiency from birth, a person who was unable to take care of him or herself. Being determined an Imbecile generally meant that a person was of diminished mental capability but that they could take some responsibility for their own self. This could have included a person with Downs Syndrome. Often Imbecile was defined as having the mental age of an infant. A Lunatic was defined as someone who sometimes was of good understanding and memory but at other time not. This would have undoubtedly referred to a number of mental illnesses including dementia. Note: The Mental Deficiency Act of 1913 redefined these definitions and 'feeble minded' replaced the term Idiot. Morally defective (as in criminal tendencies) was added to the disability column, which was also also renamed as Infirmity. * Eliza English was not related to myself. From the above definitions it would appear that Eliza was of some diminished capability but possibly able to perform minimal tasks. Before making assumptions about ancestors from one census record, it is wise to check the weight of one finding against that of others. A search of the earlier 1861 census, shows Eliza English to be aged 45 years, living in the Keynsham Union Workhouse, as a 'pauper' and an 'imbecile'. however of note is that she was employed as a 'Pin Maker'. It immediately becomes clear that Eliza has at least the mental age of a small child since children as young as 6 years were known in the 1800's to be employed in the industry of pin making. We learn something more about Eliza's disability from collating her reported condition as an 'Imbecile' in 1871 and for the fact that she was able to be employed, though it be a simple task. Searching further back in the 1851 census, Eliza English can be found aged 30, living in Potter's Wood, Keynsham, living with her mother Hannah aged 79. Hannah is a widow and both mother and daughter are employed as 'Pin Headers'. No report is made of Eliza having a disability in the 1851 census, however, it was not uncommon for a family to fail to report this for fear of the stigma attached to mental illness. 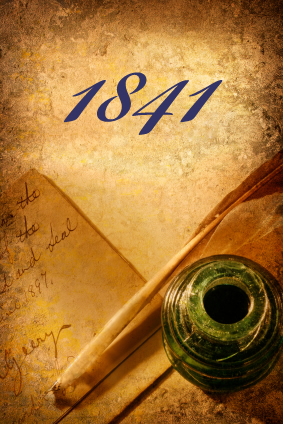 Ten years earlier, in 1841, Eliza, aged 20 years is living with her father Thomas, mother Hannah, and sister, Charlotte, aged 15. We have no way of knowing whether Eliza suffered a disability at the age of 20 years, except to note that she was not employed. Eliza was still living in the Keynsham Union Workhouse at the time of the 1881 census where she was described once again as an Imbecile and a Pauper. One can only guess as to what Eliza's disability was. There were few treatments available for Eliza who was presumably born with some considerable form of mental disability, other than care at home and then lodgement in an Asylum or Workhouse. These institutions were notorious for their miserable and horrifying conditions. In the 1800's, asylums were not facilities focused on helping people suffering from mental disorders. One can only imagine the distress of Eliza's mother Hannah, knowing that after her own death, an asylum was the only place where her daughter could reside. 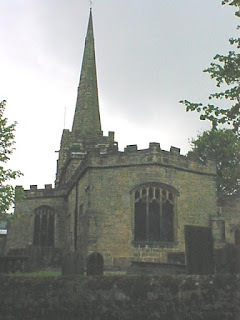 In the case of sisters Jane and Hannah KIRK, who can be found recorded on the 1891 census, aged 28 and 26 years, residing with their parents Samuel and Sarah, on a farm in Ashover, Derbyshire, their disability is recorded in the 'Whether Deaf, Dumb or Blind' column, as 'Deaf and Dumb'. How sad for Samuel and Sarah Kirk that both their daughters suffered this affliction at a time when little help was afforded them. being reported to be 'dumb' leads us to the conclusion that the sisters never learned to speak and therefore were most likely born deaf. To discover more about Jane and Hannah, we must look at other census records. 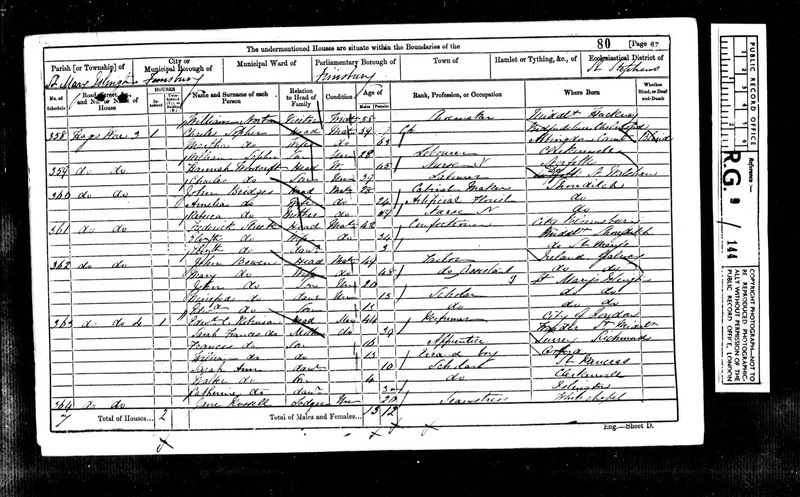 Since Jane was reportedly born around 1863, the first census to search is the 1871 census. Jane and Hannah Kirk's story is a sad one especially for their parents, Samuel and Sarah. The 1871 census shows Samuel aged 45, working as a carter in Derbyshire and living with his wife Sarah aged 38 and children. Sarah would not have been able to work as she was the carer of not two but three daughters who were reported to be 'deaf and Dumb' on the census form. Son James aged 11 in 1871 was a a scholar. Younger sister Sarah, aged 2 was deaf along with Jane aged 8, and Hannah aged 6 years. It is a terrible tragedy that this family had three daughters who were all profoundly deaf from birth. The April 3, 1881 census unfolds the Kirk family tale further. Here we find Jane Kirk aged 18, Hannah aged 16, both reported to be 'deaf and dumb from birth'. Sarah Jane Kirk is aged 12 years and is no longer reported to be deaf. Perhaps the enumerator had made a mistake ten years earlier. Brother James, aged 21 years is working a s a General Labourer as is father Samuel now 55. Another son has been born to Sarah and Samuel Kirk, named Richard who is not reported to be deaf. 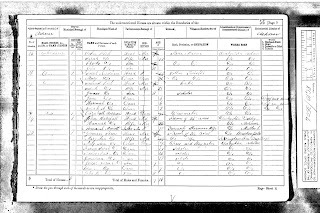 In the 5, April, 1891 census, Jane now aged 28, and her sister Hannah aged 26, are living with their parents on a farm where Samuel at 65 years of age is employed as a farm labourer. brother Richard William Kirk is now 16 and working alongside his father as a farm labourer. With two daughters, unable to hear or to speak, life must have been challenging for the Kirk family. Samuel was the sole supporter for the family with help possibly from sons James and Richard while they lived with the family. Samuel Kirk died in 1900, a death which would have meant an enormous loss to the Kirk family, both emotionally and financially. Sarah was left to care for her adult daughters, Jane and Hannah in a world where they could not hear or communicate effectively. 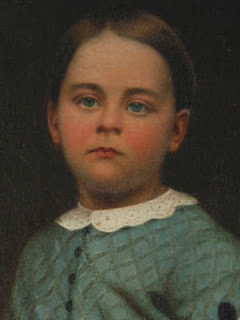 Looking at this painting of a young girl in the 1860's we might ponder the lives of Jane and Hannah Kirk. In the 1901 census, Sarah Kirk is shown as the head of the household in the parish of All Saints, Ashover, in Derbyshire, living with her daughters Jane and Hannah. With three women aged 68, 38, and 36 years in the home, none of whom were employed, one must suppose that they were dependent upon either sons and brothers James and Richard for financial support or that they were reliant upon parish charity for survival. Sarah Kirk died in 1911, leaving her 'deaf and dumb' daughters Jane and Hannah aged 48 and 46 years with no option but to be placed in an institution. These girls were fortunate to have had parents who cared for them at home for as long as they were able, despite the financial burden this must have placed upon the family. 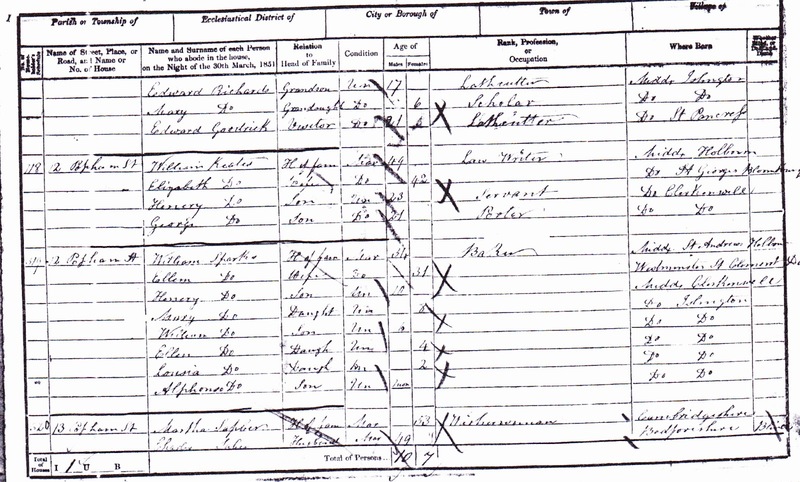 The 1911 census record shows Jane Kirk aged 46 (48) and her sister Hannah Kirk aged 46 years living in an institution at Chesterfield, Derbyshire.Both girls were single, having had no opportunity for marriage with their affliction. 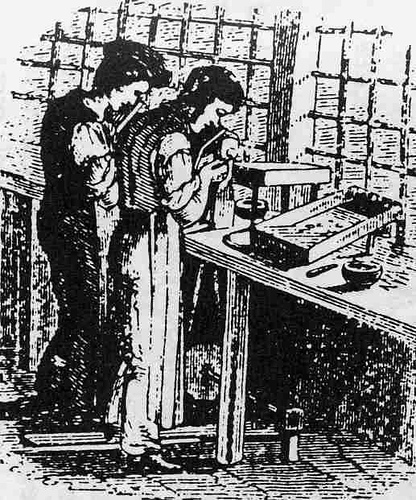 Although other inmates of the institution are shown to be employed in various jobs mainly connected to the cotton industry, (mill hands, flour sack menders, cotton mill winders), neither Jane nor Hannah are reported as working. The occupations of inmates in this workhouse, which was not far from their home of Ashover, tells us much about the agricultural nature of the area of Derbyshire in which Jane and Hannah grew up. It is entirely probable, tragically for these sisters, that their lack of hearing and importantly, speech, rendered them 'dumb' and unemployable in the eyes of those around them. 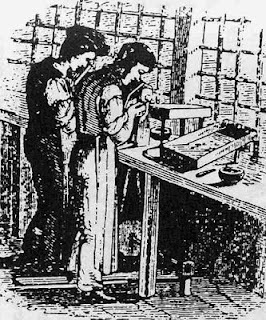 Jane and Hannah both died in their silent world in far from desirable conditions in the Chesterfield Workhouse. These are merely a few examples of how disabilities impacted on the lives of people in the past. 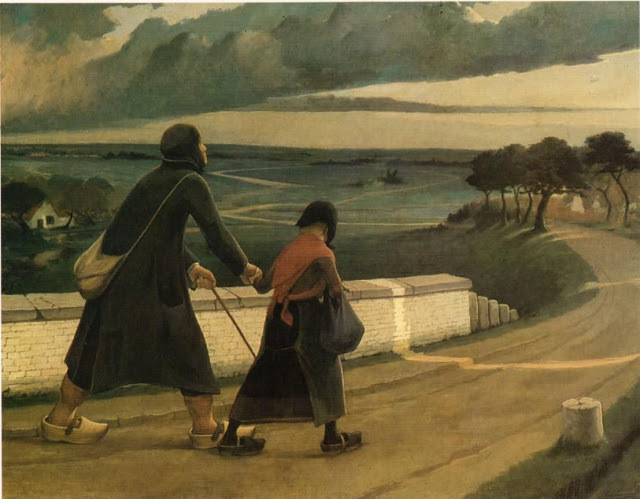 We can be grateful to census records which from the 1850's in the UK and the US, provide us with a window through which to glimpse the lives of those suffering impairments such as deafness, blindness, and mental health issues. This one column added to the census record has provided governments and organisations with crucial information which has aided the provision of facilities to help children such as Jane and Hannah Kirk to be educated and taught to communicate with others. Jane and Hannah were locked in a silent and isolated world. But for the 'Whether Deaf, Dumb and Blind' information reported in a far right column, on the census records, Jane and Hannah's story, and thousands more like theirs, would never have been told. 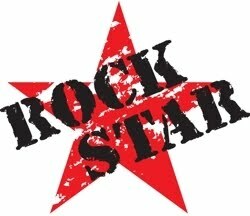 An excellent blog Sharn. You've put in a bit of effort here! Very informative post thanks Sharn. The eldest son of my 4 x great grandparents was listed as "idiot" in the 1851 Scotland census but not in any of the latter ones. A fascinating in depth analysis of an unusual angle on census returns. Thank you for studying such a different approach. I feel "dumb" or like an "idiot". I have looked at so many census records but have never noticed that column on the right! I've got an interesting one from 1871, and I can't decipher the writing but it doesn't appear to be any of the above terms, as it seems to begin with an M. I've taken a snapshot of it, does this make any kind of sense? 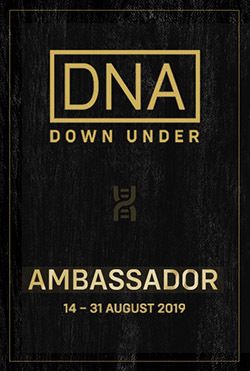 I am honoured that this blog has been selected to be preserved on the National Library of Australia'a Pandora site. Brick Wall Blunder... Cognomen Erratum! RUNAWAY HUSBAND - There's No Hiding The Family Skeletons in the News!